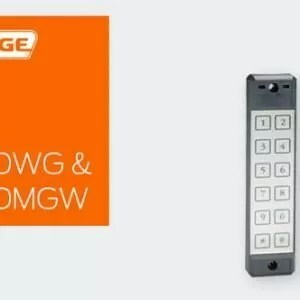 The aptiQ MTK15 Multi-Technology Single-Gang Reader Keypad offers the ultimate in flexibility. 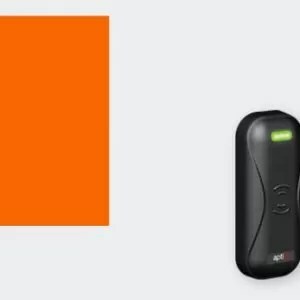 From proximity technology, to aptiQ™ smart credentials (MIFARE® and MIFARE DESFire™ EV1 technology), aptiQ™ readers are capable of interfacing with nearly any credential type. Our readers use an open architecture platform designed to work with industry standards and common access control system interfaces. 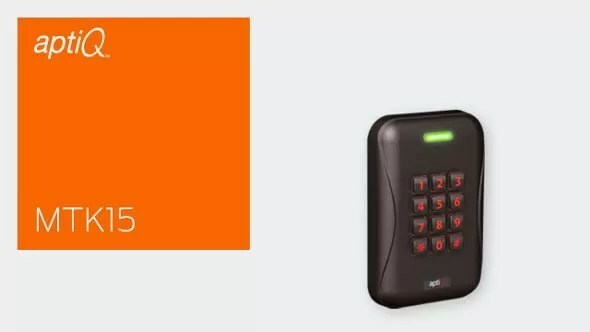 Additionally, the ability to pair contactless smart or proximity technology with keypad use provides for even higher security in any facility. 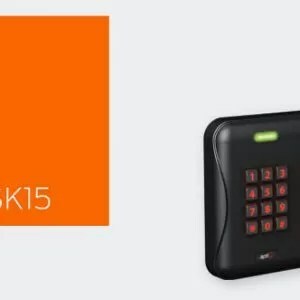 The attractive, modern design and technological capabilities of the MTK15 are only enhanced by the fact that the reader is so easy to install. The single gang styling and easy-to-connect wiring harness makes the wall-mounting process simple. No more juggling between the reader and wiring during installation–simply connect the wiring harness and plug the reader in, it’s that easy. Similar to all aptiQ™ Readers, the MTK15 operates on a Wiegand interface, and is completely ISO compliant (14443A, 14443B, 15693). The MTK15 reader is a replacement for (S)XF2110, (S)XF2110P-K, and (S)XF2210 legacy reader products.